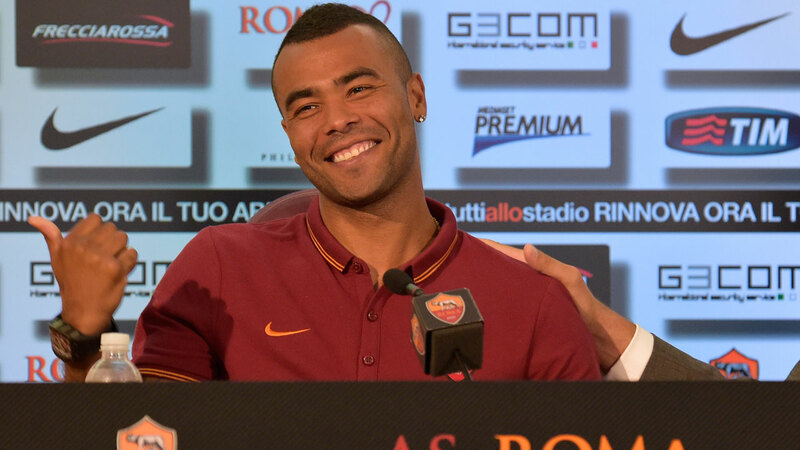 Does the Galaxy need another aging English import like Ashley Cole? What signing? You want to sign this guy, a jocular Ashley Cole seems to be asking. (AP file photo). The possibility of former England left back Ashley Cole joining MLS and the Galaxy from Italian side Roma at the age of 35 first appeared six days ago in that paragon of journalistic credibility, The Irish Sun. Hours later English tabloid the Daily Mail was reporting Cole was still undecided about his future. How excited are you about the possibility of Cole, who has played sparingly since joining Roma, joining 35-year-old Steven Gerrard in the Galaxy lineup next season? (Ahem). Let’s hope someone tells him about the heat, humidity and long road trips. Don’t want that to be a nasty surprise like it was for Stevie, after all.